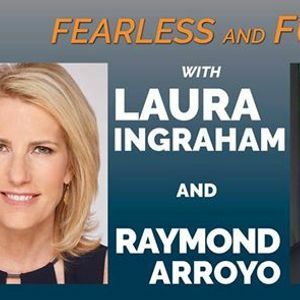 Laura Ingraham is best known as the host for "The Ingraham Angle" on FOX News, and the nationally syndicated talk radio show "The Laura Ingraham Show." She is the best selling author of "Billionaire at the Barricades: The Populist Revolution from Reagan to Trump," "Of Thee I Zing," and most recently "Busting Barricades: What I Saw at the Populist Revolt." 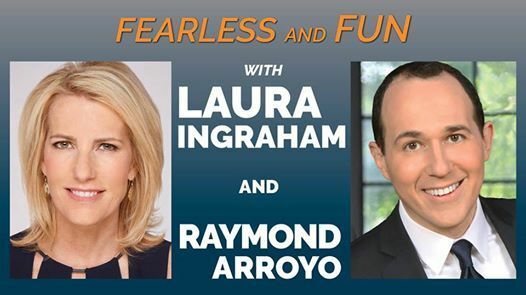 Special guest, Raymond Arroyo is an internationally recognized, award- winning journalist for his work on the Eternal Word Television Network news magazine show "The World Over Live." He is a New York Times bestselling author and Fox News contributor.